The French Deal: save €165 on the X-E2 (with double kit 18-55 + 55-200)! Finally an nice deal also for our French readers. Buy the X-E2, bundle it with both zoom lenses and pay only €1,899! You’ll save €165 on the X-E2! 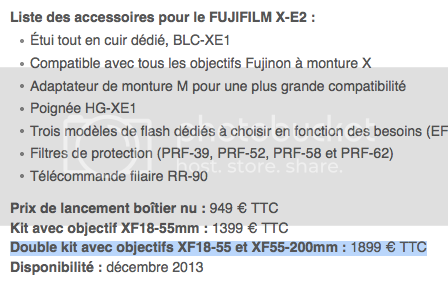 At least this is the price shown at Fuji’s French X-E2 press release. The normal price would be of 1,399 for the X-E2 with 18-55 and of €665 for the 55-200. All in all it would cost you €2,064. But now with this double kit deal you pay €1899 and save €165. FR-reader JPM, who accurately read the press-release and spotted this deal, told me that “I don’t know if the double kit will be available in the early days or later, and if it is a French speciality.” Well, I like it when French specialities are exported all over the world :). Anyway, I’ve checked the press-release at Fuji’s site in my country and there is not such a deal in the press release. And what about your country? You know it already, if you find some deals, share them on dealsrunner.com. If you are already looking for an X-mas present for your family or your relatives, then this could be a nice little gift! 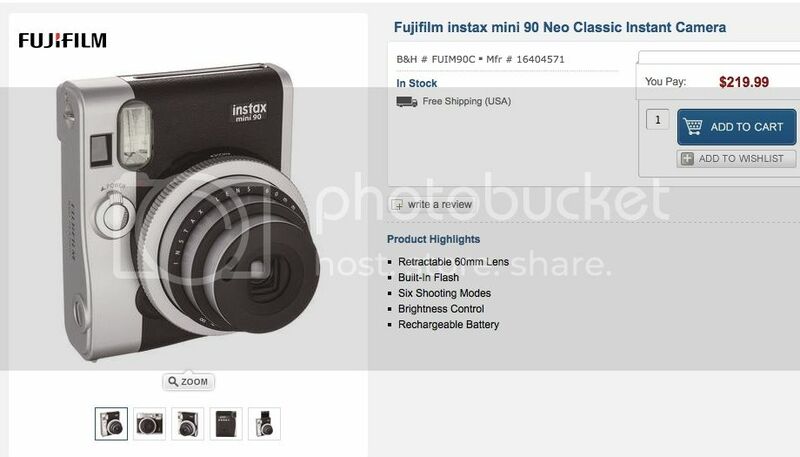 The Fujfilm Instax Mini 90 Neoclassic is now in stock for $220 at BHphoto and at Adorama. X-E2 in stock update: The silver X-E2 with kit lens is still in stock BHphoto and Adorama, but it run out of stock at Pictureline. But a limited number (3 at the moment) is back in stock at AmazonUS. If the silver kit version is not the combination you looked for, check out DigitalRev: they have the silver kit and the black body in stock. After AmazonUS, now also Adorama is selling the XQ1 with a $50 rebate for $449! 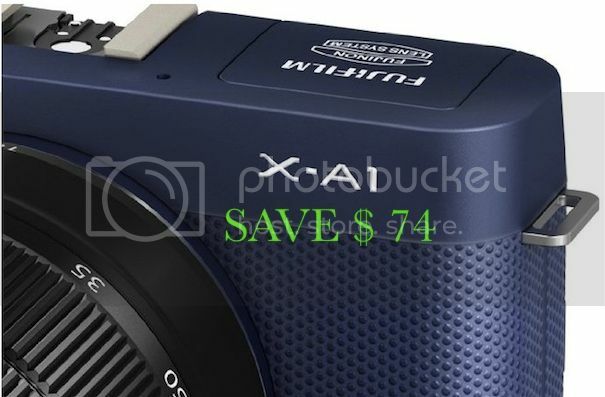 Also BHphoto marks the XQ1 $50 off at their site, but the price there is still $499. X-E2 in stock at Adorama, Pictureline, DigitalRev and BHphoto + XF27mm photozone review. 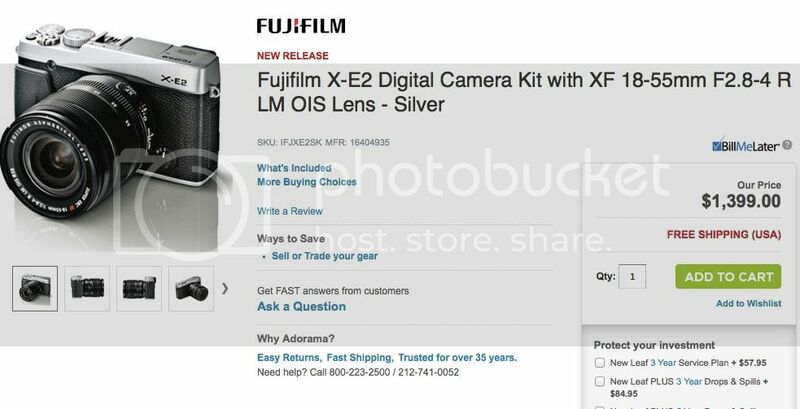 BHphoto, Adorama and Pictureline have the silver X-E2 with kit lens in stock right now (it’s not in stock anymore at AmazonUS). DigitalRev has the silver kit and the black body in stock. 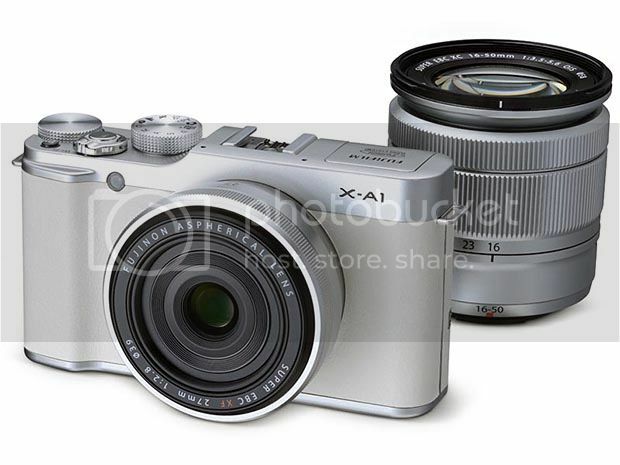 X-E2 in stock at BHphoto: silver body, silver kit and black kit [UPDATE: black kit out of stock now]. Very good! It seems that Fuji has learned from the past (do remember the waiting times for the X100S or XF 55-200?). The X-E2 is now in stock at BHphoto here! Every combination, except the black body! UDPATE: Things can change very quickly. Right after this post the black kit run out of stock (see the screenshot, where it was marked as “in stock”). So, in case the camera you need is the X-E2, and you want it in silver, act fast, click here and grab it at BHphoto. 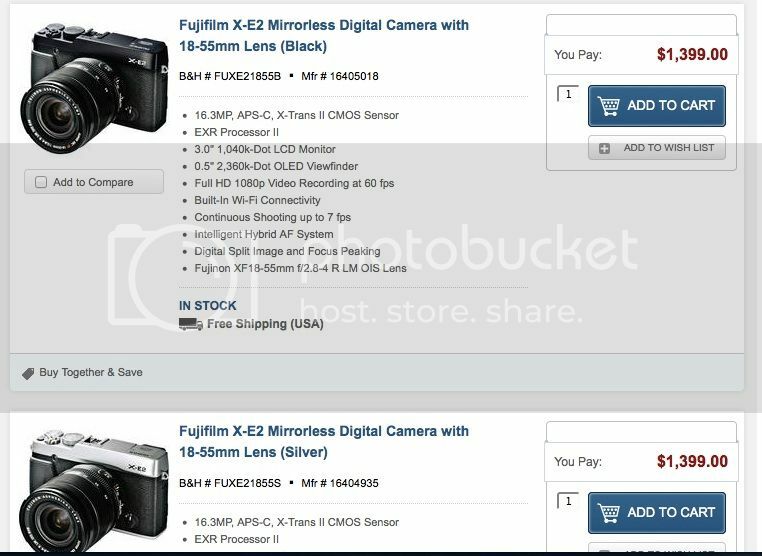 Feel free to pre-order or buy your camera using the links in this post. It won’t cost you a single penny more, but a small commission goes to Fujirumors. It’s a great help for this blog and your support will keep this site running. The reviewers agree: this is a great entry-level camera with great value for the money. And now it’s even cheaper! At AmazonUS you can grab the indigo blue version for $525 (save $ 74). Right in time for the winter time, Fuji decided to launch a X-A1 limited Premium White Box! Read more at akihabaranews.com here. Right now I cannot find the camera available in stores. I think it’s available only in Japan at the moment. But if you find it somewhere, share it on dealsrunner.com.